Through our partnership with Scientific Learning Corporation, BrainFit® Studio has been able to access the work of four internationally-renowned neuroscientists who are also the founding members of Scientific Learning Corporation – Dr Michael Merzenich, Dr William Jenkins, Dr Paula Tallal, and Dr Steven Miller, whose expertise is based on more than 30 years of scientific research into how the brain learns. The work of these neuroscientists is at the forefront in the fields of education and neuroscience; brain plasticity; auditory processing, language and reading development; psychology; behavioural algorithms; and multimedia technology. In addition, BrainFit® Studio and our clients have benefited greatly from our collaboration with Dr Martha Burns, Senior Clinical Specialist and Director of Professional Relations at Scientific Learning Corporation. As a Professor in Speech-Language Pathology, she is a passionate educator who offers cutting-edge information that is essential to everyone who seeks to improve the lives of students by improving their ability to learn and read. Michael M. Merzenich, Ph.D., a director of Scientific Learning Corporation, is also the Francis A. Sooy Chair of Otolaryngology in the Keck Center for Integrative Neurosciences at the University of California, San Francisco Medical Center. He is an elected member of the National Academy of Sciences, for his work on brain plasticity. He is a graduate of the University of Portland and obtained his doctoral degree from Johns Hopkins. 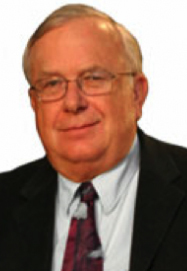 William M. Jenkins, Ph.D., is Scientific Learning’s Chief Scientific Officer. One of our founders, he joined the company at inception from a faculty position at the Keck Center for Integrative Neurosciences at the University of California, San Francisco Medical Center. Jenkins is an expert in learning-based brain plasticity, behavioural algorithms, and psychophysical methods, as well as an expert in multimedia and Internet technology. Jenkins earned his bachelor’s degree in psychology, along with a master’s degree and Ph.D. in psychobiology, from Florida State University. Jenkins has authored or co-authored 13 commercial software products. Paula A. Tallal, Ph.D., a director of Scientific Learning Corporation, is also a Board of Governors’ professor of neuroscience at Rutgers, The State University of New Jersey, where she helped found and currently co-directs the Center for Molecular and Behavioural Neuroscience. She was selected by the Library of Congress to be the Commentator for the Field of Psychology at its Bicentennial Celebration and earned the Thomas Alva Edison Patent Prize for her work leading to the development of Fast ForWord software. Tallal received her bachelor’s degree from NYU and her Ph.D. from Cambridge. She is also a participant in many scientific advisory boards and governmental committees on developmental language disorders and learning disabilities. Steven L. Miller, Ph.D., is a co-founder of Scientific Learning. Previously he served on the research faculty at the Center for Molecular and Behavioural Neuroscience at Rutgers University. A neuropsychologist with expertise in the assessment and treatment of developmental language and reading impairments, Miller has extensive experience in organizing clinical studies and conducting longitudinal studies of children and adults with such disabilities. His work has resulted in many publications and awards. Miller earned a bachelor’s degree in psychology from Bloomsburg University, a master’s degree in neuroscience from the University of Hartford, and a Ph.D. in psychology from the University of North Carolina, Greensboro. He received additional training in the neuropsychology of reading at the Bowman Gray School of Medicine, Wake Forest University. 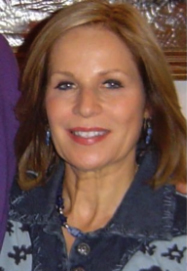 Dr. Martha S. Burns has been a practicing clinician in USA for 35 years. She serves on the Faculty of Northwestern University, Department of Communication Sciences and Disorders and on the medical staff of Evanston- Northwestern Hospital. Dr. Burns has received honors from Northwestern University, Evanston Hospital Corporation, the American Speech Language Hearing Foundation and St. Xavier University. Dooby’s Rating Service selected her book on Right Hemisphere Dysfunction as one of the best health sciences books of the year. In addition to that book, Dr. Burns is the author of a book on aphasia and the test Burns Brief Inventory of Communication and Cognition published by The Psychological Corporation. Dr. Burns is currently serving as senior clinical specialist and Director of Professional Relations at Scientific Learning Corporation.